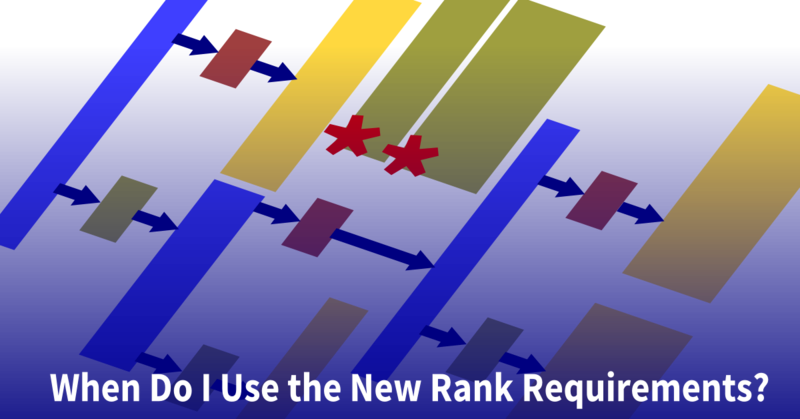 This is seventh in a series of posts about the new rank requirements that take effect on January 1, 2016. 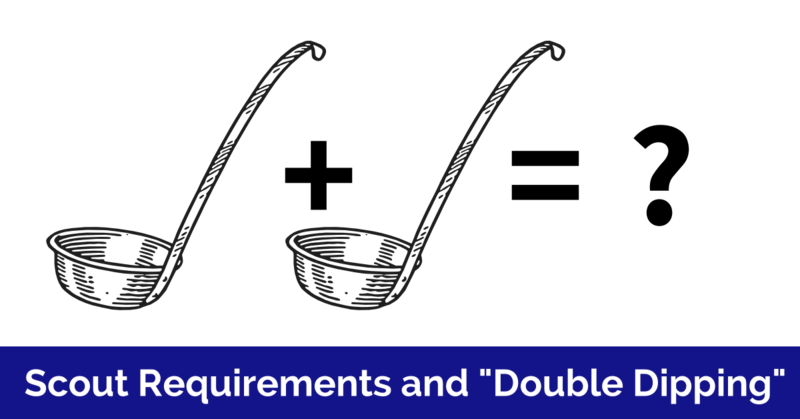 Exactly how the new requirements are phased in is explained in this PDF document – Notes on Transitioning to the New Requirements. I found the new requirements in this PDF – 2016 Boy Scout requirements—parallel comparison. There are three major components of advancing from Star to Eagle – merit badges, service, and positions of responsibility. I want to reflect on each of these components and suggest some changes. In my review of Star I’ll look at merit badges, in my review of Life I’ll look at positions of responsibility, and in my review of Eagle I’ll look at the service component. 1. Be active in your troop for at least six months as a Life Scout. 2. As a Life Scout, demonstrate Scout Spirit by living the Scout Oath and Scout Law. Tell how you have done your duty to God, how you have lived the Scout Oath and Scout Law in your everyday life, and how your understanding of the Scout Oath and Scout Law will guide your life in the future. List on your Eagle Scout Rank Application the names of individuals who know you personally and would be willing to provide a recommendation on your behalf, including parents/guardians, religious (if not affiliated with an organized religion, then the parent or guardian provides this reference), educational, employer (if employed), and two other references. 3. Earn a total of 21 merit badges (10 more than required for the Life rank), including these 13 merit badges: (a) First Aid, (b) Citizenship in the Community, (c) Citizenship in the Nation, (d) Citizenship in the World, (e) Communication, (f) Personal Fitness, (g) Emergency Preparedness OR Lifesaving, (h) Environmental Science OR Sustainability, (i) Personal Management, (j) Swimming OR Hiking OR Cycling (k) Camping (l) Family Life, and (m) Cooking. You must choose only one of the merit badges listed in categories g, h, and j. Any additional merit badge(s) earned in those categories may be counted as one of your eight optional merit badges used to make your total of 21. Changed wording that clarifies some common misunderstandings, previously: “Earn a total of 21 merit badges (10 more than you already have), including the following:” I offer my reflections on merit badges in my review of Star requirements. Varsity Scout team. Captain, co-captain, program manager, squad leader, team secretary, Order of the Arrow team representative, librarian, historian, quartermaster, chaplain aide, instructor, den chief, webmaster, or outdoor ethics guide. Venturing crew/Sea Scout ship. President, vice president, secretary, treasurer, den chief, quartermaster, historian, guide, boatswain, boatswain’s mate, yeoman, purser, storekeeper, webmaster, or outdoor ethics guide. Two changes: Venture patrol leader is removed from the list and the addition of an option for lone Scouts. Boy Scout troop. Patrol leader, assistant senior patrol leader, senior patrol leader, Venture patrol leader, troop guide, Order of the Arrow troop representative, den chief, scribe, librarian, historian, quartermaster, bugler, junior assistant Scoutmaster, chaplain aide, instructor, troop Webmaster, or Leave No Trace trainer. Varsity Scout team. Captain, co-captain, program manager, squad leader, team secretary, Order of the Arrow troop representative, librarian, historian, quartermaster, chaplain aide, instructor, den chief, team Webmaster, or Leave No Trace trainer. Venturing crew/ship. President, vice president, secretary, treasurer, den chief, quartermaster, historian, guide, boatswain, boatswain’s mate, yeoman, purser, storekeeper, crew/ship Webmaster, or Leave No Trace trainer. 6. While a Life Scout, participate in a Scoutmaster conference. 9 Assistant patrol leader and bugler are not approved positions of responsibility for the Eagle Scout rank. Also, a Scoutmaster-approved leadership project cannot be used in lieu of serving in a position of responsibility. with Guide to Advancement topic 8.0.3.2. 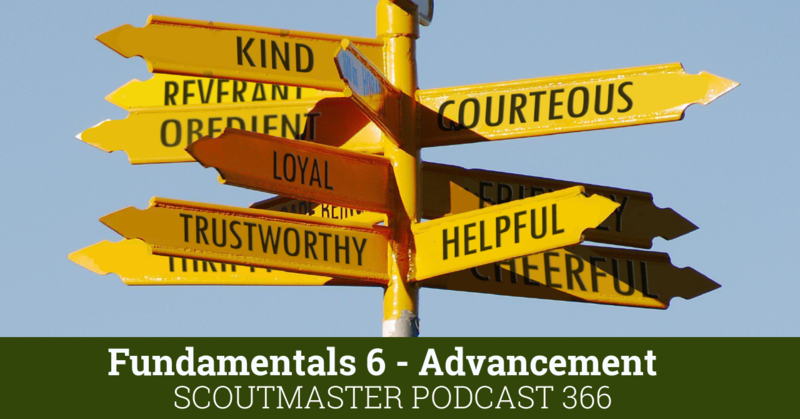 If a Scout foresees that, due to no fault or choice of his own, he will be unable to complete the Eagle Scout rank requirements before age 18, he may apply for a limited time extension in accordance with Guide to Advancement topic 9.0.4.0. Time extensions are rarely granted. Merit badges, badges of rank, and Eagle Palms may be earned by a registered Boy Scout, Varsity Scout, or a qualified Venturer or Sea Scout. He may earn these awards until his 18th birthday. Any Venturer or Sea Scout who achieved the First Class rank as a Boy Scout in a troop or Varsity Scout in a team may continue working toward the Star, Life, and Eagle Scout ranks and Eagle Palms. Advancement, topic 8.0.3.1, in the case where a board of review is to be conducted more than six months after a candidate’s 18th birthday. If you have a permanent physical or mental disability, or a disability expected to last more than two years or beyond age 18, you may become an Eagle Scout by qualifying for as many required merit badges as you can and qualifying for alternative merit badges for the rest. If you seek to become an Eagle Scout under this procedure, you must submit a special application to your local council service center. Your application must be approved by your council advancement committee before you can work on alternative merit badges. 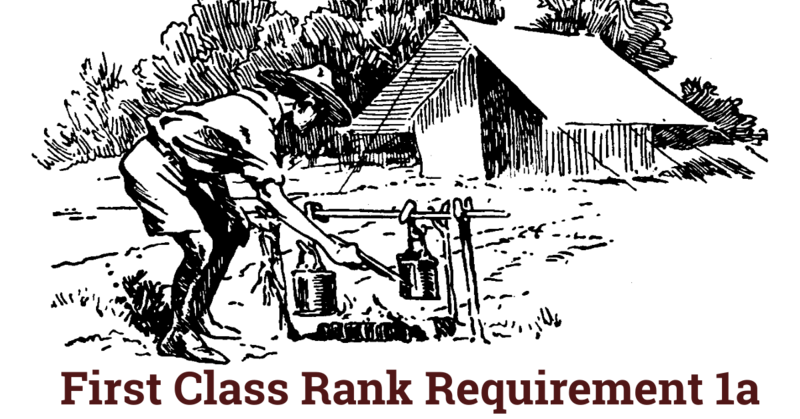 A Scout or Venturer with a disability may also qualify to work toward rank advancement after he is 18 years of age if he meets the guidelines outlined in section 10 of the Guide to Advancement. There are three major components of advancing from Star to Eagle – merit badges, service, and positions of responsibility. I want to reflect on each of these components and suggest some changes. In my review of Star I’ll look at merit badges, in my review of Life I’ll look at positions of responsibility, and in my review of Eagle I’ll look at the service component. The first Eagle was awarded in 1911, and the requirements for the badge did not include a service project the next 54 years. This requirement remained basically the same for 13 years until the phrase “give leadership to others” was added in 1978. The complexities of the paper chase involved with a present-day Eagle project are legend, as are the various interventions of the various adults involved. I have had the pleasure of talking to many Eagle Scout candidates in the last 30+ years. One question I ask them is what they truly enjoyed about the process, and what they would rather not repeat. It comes as no surprise that most, if not all, would rather not repeat the paper chase involved in the project. I don’t think that this reflection is based solely on a dislike of paper work, but on the messages implied in the process. Before my critique goes any further, I should state very clearly, that I think the element of service in the requirements is a vital part of earning Eagle, and that Eagle projects are important. As I noted above service involved in earning Eagle began as a very open-ended idea, with an open-ended standard of evaluation. Over time I have observed a growing trend to compartmentalize, and institutionalize the lively idea of service to others. This trend is not limited to Scouting, most high School students are also required to complete some sort of formal community service as a requirement for graduation. I sometimes wonder if we are turning service projects into products, and if this transformation risks losing the understanding of service as an enduring aspect of character. Concerns about the interference of parents and various other adults in the process. Concerns over a lack of adult involvement and oversight. Concerns about candidates doing the ‘bare minimum’. Concerns about candidates taking on too much. Concerns over Scouts who are too young and immature. Concerns over Scouts who are too old and mature ( i.e. too close to their eighteenth birthday, and distracted with other oursuits). 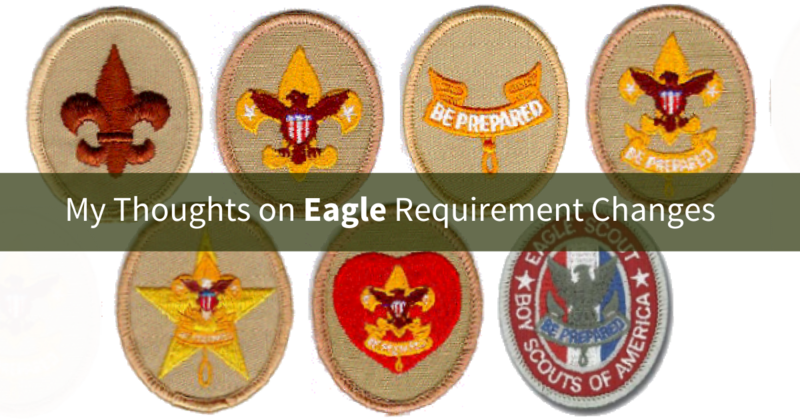 Concerns that Scouts are earning Eagle just to put it on a college application. Concerns that Scouts who are not earning Eagle don’t understand how important it is on a college application. We seem to be in search of the non-existent “Goldilocks” Eagle, not to cold, not too hot, but just right. Creating standards of measurement or procedure for anything inherently human is a two-edged sword. On the one hand standards lessen aberrations from the mean, and procedure organizes complexity. On the other hand an external standard imposed on a couple of million Scouts nation-wide is going to be either inadequate or over-reaching, and will require a book full of possible caveats in response to the variety of individuals involved. Procedures based on these standards are useful, but seldom universally adaptable. Then there’s human nature. Presented with rules and regulations few of us (myself included) are going to decide that we will surpass them. In fact the contrary is more often the case, we will do as little as possible to meet them- that is the definition of a standard, isn’t it? Given all the standards and procedures that have grown around the Eagle project the final evaluation at a board of review remains subjective rather than objective. 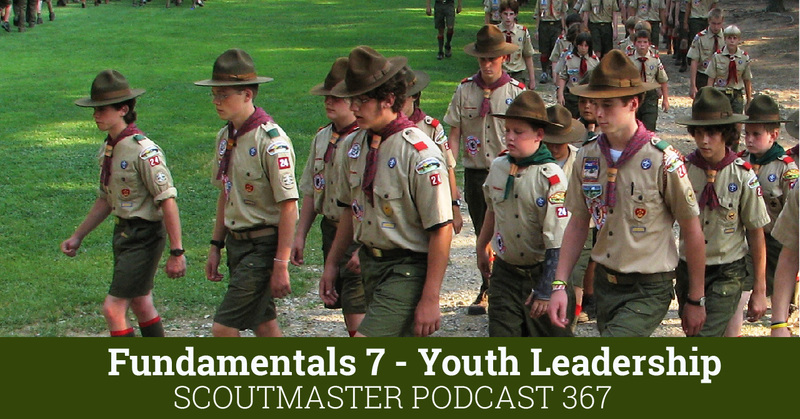 Eagle Scouts are individuals in their developmental years, not a consistent product rolling off an assembly line. If the outcome of an Eagle project is just hours to quantify we are doing a great job. If the point is developing the kind of character leading to a life of service to others, we are kind of hit or miss. Yes, I am caught in a bit of a pickle here – the subjective nature of what I am asking makes an objective answer impossible. What’s my solution? Would I throw out the whole process with its many rules, regulations and procedures? To tell you the truth I don’t know how I’d replace the current process, or if it needs replacing. What I can do is encourage us all to constantly remind ourselves that Scouting has a scale, and that scale is the individual. When we attempt to commodify or define an individual aim or think we can standardize it for millions we step away from that scale. If, like me, you feel uncomfortable about the Eagle Scout project the likely reason is that it there’s basic incongruence in attempting to define, standardize, and measure objectively something that can only be measured individually. Benchmarks and measurements are very handy for evaluating uniform products on an assembly line, but they fall flat in measuring the character of an individual. My concern is that our current approach to the Eagle project tends to obscure something simple, we are aimed at developing the character of individuals. We have to look beyond a sheaf of papers to find evidence we’ve achieved the aim of developing a sense of service to others. We’ll have to sit down and ask an individual Scout some questions, and listen carefully to how they respond, we’ll have to have a conversation. We’ll need to get them to tell us whether or not, when they look into their own heart and mind, we’ve achieved our aim. That’s one thing that hasn’t changed, and never will. We just had an Eagle candidate in our area whose project was denied by the committee because it didn’t meet the (mythical) 120-hour limit for a blood drive for a local blood bank. The council rep then attempted to require him to get 60 first-time donors, twice as many as the blood bank requested (and a number that the blood bank told him had NEVER been achieved and was probably unattainable). Why do people do this to our young men? The project process does seem bureaucratic, but it might not be as bad as we think. After counseling one Scout on his project (I do that for the district), his mom thanked me for how helpful and prompt all the adults had been. His twin sister was working on her GSUSA Gold Award and that was a nightmare, with deadlines and adults getting required feedback after the girl’s deadline, people who were unavailable, and so on. I have mixed feelings about the paper chase of the Service Project requirement for Eagle. I do believe it takes away from the actual ‘service’ element, but it is valuable for what I have come to think the Service Project is today: an exercise in Project Management. If you look at it that way it all makes sense as a tremendous part of the PM process is organization, documentation and metrics. If you look at it in that regard, it is a pretty good exercise in preparing a Scout for the professional world. I agree, Jim, the whole paper chase is actually very informative, it’s a good process. I question, though, if it’s really focused on the core aims in Scouting (thus my ambivalence) – there are lots of great things we could do, but I am happier when we are more focused on the core. Here is my first catch, does “Be active in your troop for at least six months as a Life Scout”, that a scout can no longer earn the rank of Eagle unless he is a registered member of a Boy Scout troop. So a youth registered only in a Venturing Crew cannot meet this requirement after Jan. 1st, am I reading that correctly? This cannot be correct, in LDS units, this would have a major impact on youth advancement (if the “other” issue does not precede this) where youth move from Troop to Varsity Team at age 13, then Venturing Crew at age 15. I am sending an email to advancement.team@scouting.org… lol. I sat with a scout last night and reviewed his proposed eagle project. It’s hard to review these because they all look the same. It’s a fill in the blank form and encourages minimum effort. The first box says “briefly describe your project” and leaves space for just a few sentences. A one sentence description is not uncommon, “Build three wardrobe boxes for the school choir.” I would like to see more, but the requirement is “a brief description”. For example the safety section typically says, “Hold daily safety briefing, wear gloves, wear safety glasses, and adults use power tools.” That would check the box for almost any project, but there’s been no thought or learning about safety. Logistics is another example, “Mr Smith will transport needed supplies to the work site in his truck.” This works for almost any project and there’s not thought required about logistics. The issue is comparable to the problem you describe with merit badge worksheets and the way merit badge requirements are defined. It’s like school work, creativity is stifled, and the focus becomes filling in the blanks – check the box – earn the rank. Eagle Scout Projects are fantastic and the actual execution of the project is generally good and a legitimate learning experience for the scouts, but the project planning and documentation does not seem to be accomplishing the goal as currently defined.